Many times you need additional drive for installing programs and other tools in your system for that you generally prefer VMWare or VirtualBox . Same thing you can do in RamDisk. You can put all your programs or tools you wanna prefer to install in other drive . RamDisk install these programs into PC's hard drive and saved files into realtime hard drive. 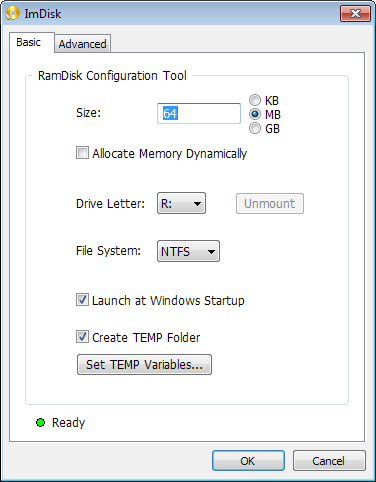 you can install RamDisk at temporary file Location or run other programs on to it to speed up your pc. Now you must be thinking why should you use this tool instead of VMWare & Virtualbox ? Answer is these all VirtualDrive tools included RamDisk used Static Memory of your system or you can say only that part of memory you allocated while installing. In this case ImDisk comes into picture. it is an open source tool available free for users. so once you install RamDisk on your system you can install ImDisk just after that. 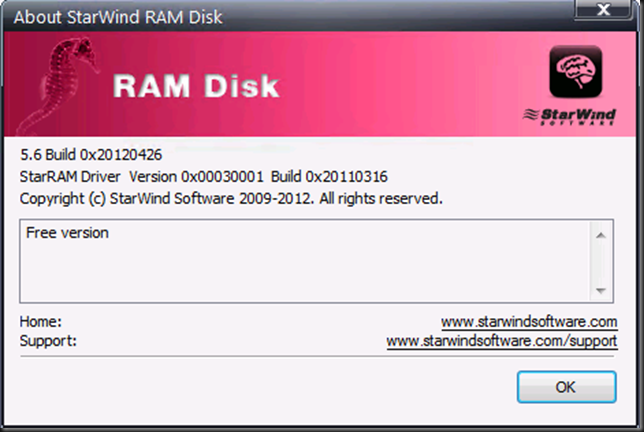 and now your are able to configure RamDisk Memory. For ImDisk you need Microsoft .Net 4.0 Framework. You can just check "Allocate Memory Dynamically" and it will use only required memory of your system. One more option is that ImDisk make available for you a option to save RamDisk contents into your hard drive or another connected storage location. Note: Since data in Ram is only available for as long as the computer is running, it is no longer available after you reboot it. Saving an image of the RamDisk to the PC ensures that you can load it up again in future sessions. Tip : If you wish to use a RamDisk on your system however don't just like the plan of reserving the memory that you simply assign to that all the time, you'll notice the dynamic memory allocation possibility helpful that ImDisk ships with. The program is additional versatile than that although. It may also mount voluminous image file formats, as well as iso, bin, vhd, vdi, dmg, dsi and raw formats.